What is Iuvo Group about? 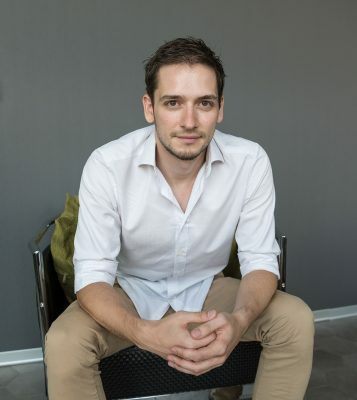 Iuvo is the first South-East European P2P platform that allows its users to buy parts of loans. All loans listed on the platform are issued by originators (registered non-banking financial institutions). We give our users the opportunity to generate an annual return up to 12% on their investments while simultaneously provide our originators with the chance to develop their businesses. The most obvious advantages are the high ROI and the buyback guarantee all listed credits have. Major plus is the reliable originators we have. They go through extensive audits before joining the platform and are required to keep a minimum of 30% of their portfolio – so-called “skin in the game”. Our “skin in the game” requirement is the highest on the P2P market and it is there to better align the interests of the originators with those of our investors. I might add another serious advantage – we have the biggest and most experienced Bulgarian originator with very clear and refined scoring and lending procedures and more than 10 years experience on the market. Iuvo is a peer-to-peer marketplace. We don’t lend. The expected annual return depends heavily on the choices our investors make, but the return a well-balanced portfolio should make is on average between 7 and 12%. Yes, the platform is entirely self-developed and we continue to improve it every day. How reliable is the credit rating / credit history data available for the Bulgarian loans? Bulgaria has a very well developed non-banking financial sector and a great deal of experience with consumer loans. The quality of the scoring process is without a doubt on a very high level and there are no reasons to think that would change any time soon. Of course, as I’ve already said, thorough audits are made before we consider any originator joining us. How is the company financed? Why did you select to start the company in Estonia? Iuvo is financed through business angels. We chose Estonia as it has been the cradle of P2P lending in the past years and we believe the best way for us to grow and develop is to be where the best platforms are. What was the greatest challenge so far in the course of launching Iuvo Group? The greatest challenge we’ve had so far was to educate an audience that has never heard of P2P lending/investing. We’ve worked really hard on gaining awareness and building trust and I’m proud to say we succeeded. The next great challenge we look forward to is providing a user experience that stands out amongst all other platforms. We mainly use internet – all the different ad formats and approaches it provides. I find that participating in different forums and events helps tremendously to shorten the distance between us and our investors and I personally believe that the right communication is a mix between technology and personal contact. Is Iuvo Group open to international investors? In order to open an account with us individual investors must be at least 18 years old, have a bank account in the European Union (or third countries that are currently considered as having equivalent AML/CFT systems to the EU), and have their identity successfully verified by Iuvo’s back office team. Where do you see Iuvo Group in 3 years? I see us as one of the leaders on European P2P lending market. I strongly believe that the potential P2P lending has is yet to be fully achieved and that the industry will surprise us even more with its growth and possibilities. We most definitely will be a part of that. P2P-Banking.com thanks Ivalyo Ivanov for the interview.